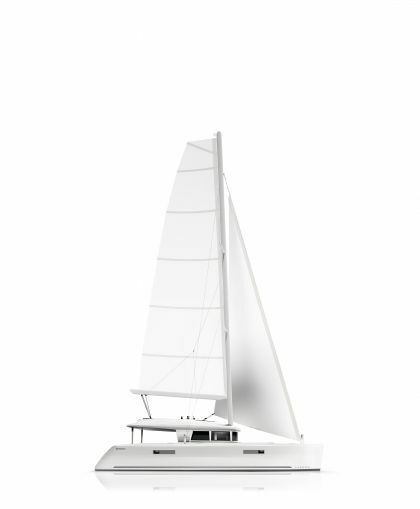 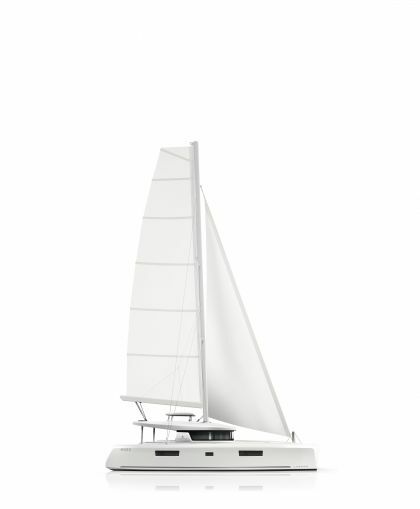 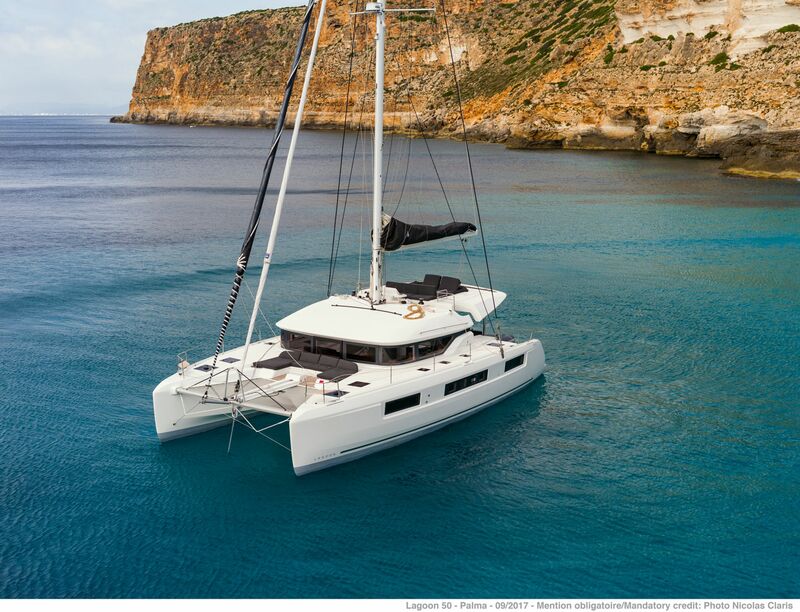 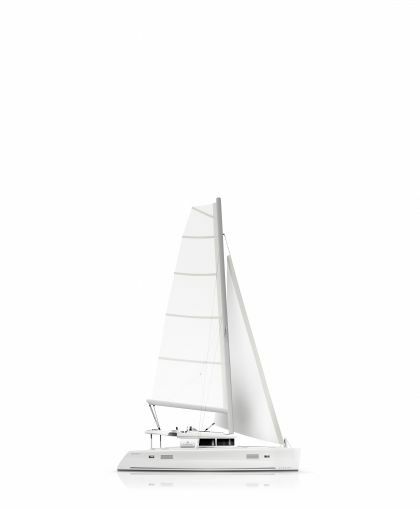 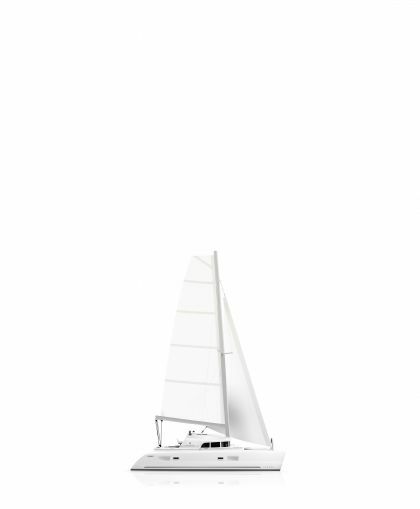 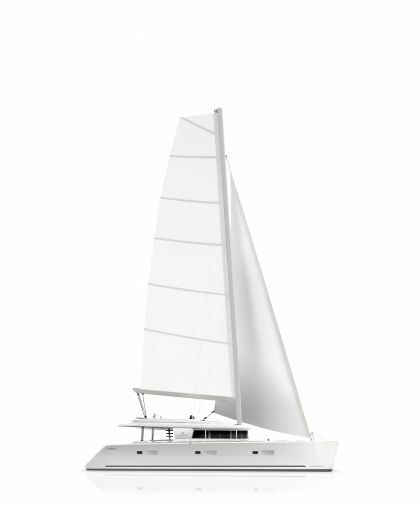 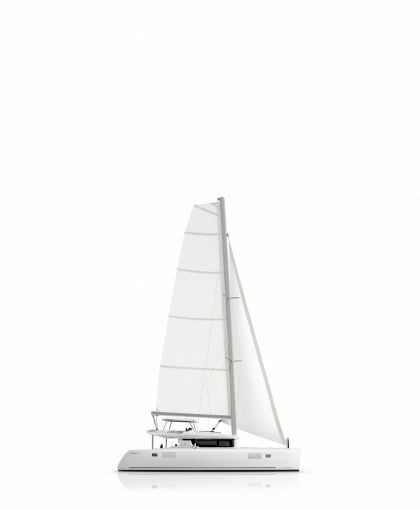 Lagoon 50 from Lagoon catamarans video on Vimeo. 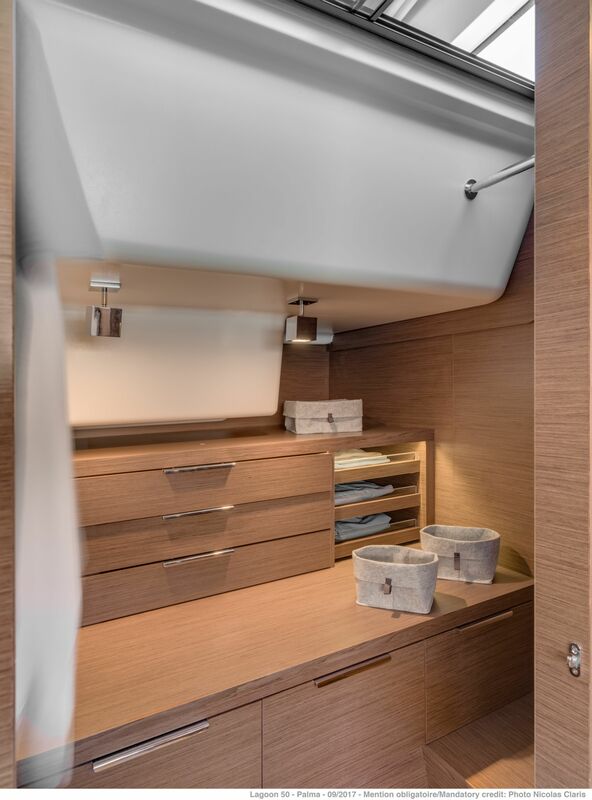 An innovative interior design, with a new, elegant and elaborate wood finish to be customised for the owner. 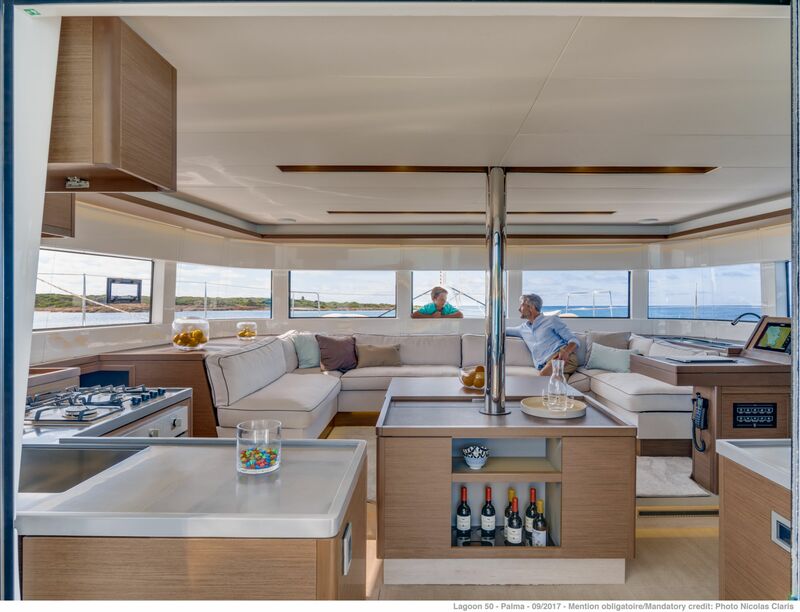 Remarkable communication between the interior and the exterior: the central panoramic windscreen is retractable, which is ideal for ventilation of both the saloon and the cockpit. 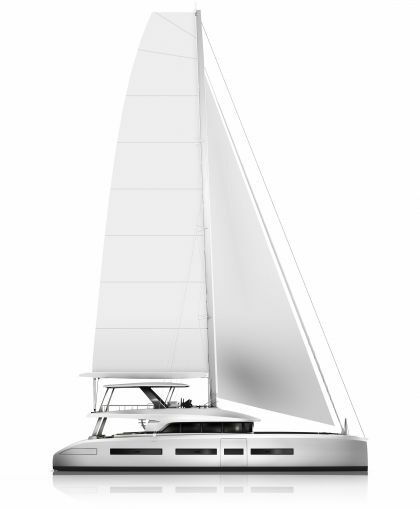 This enables interaction with the forward area. 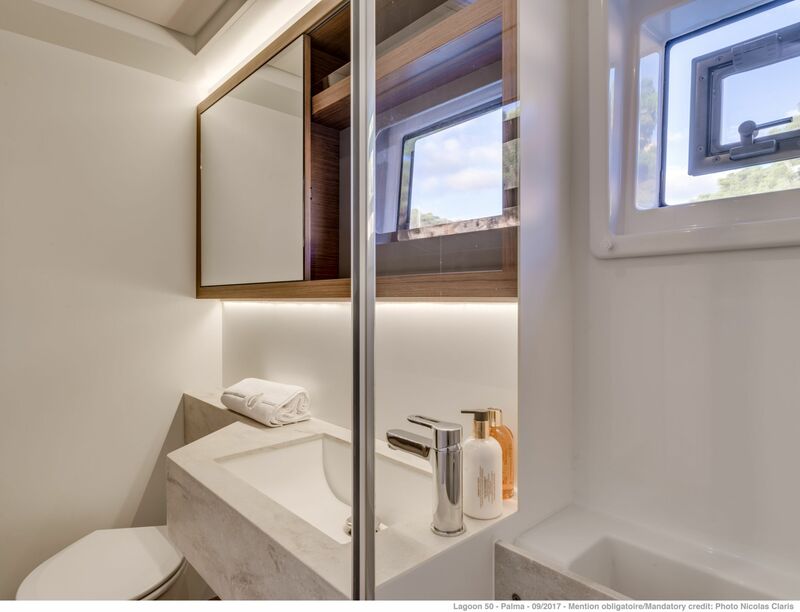 Outstanding natural light in the aft cabins, fitted with panoramic glazing and large hull portholes in the showers and bathrooms. 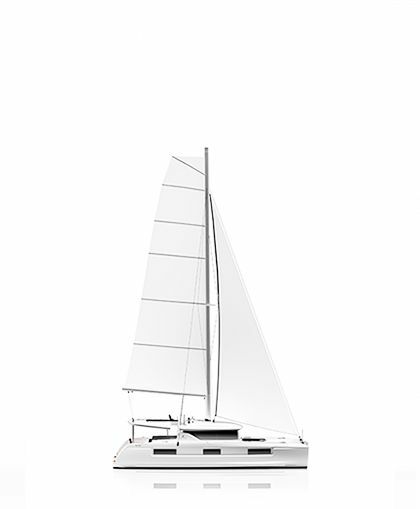 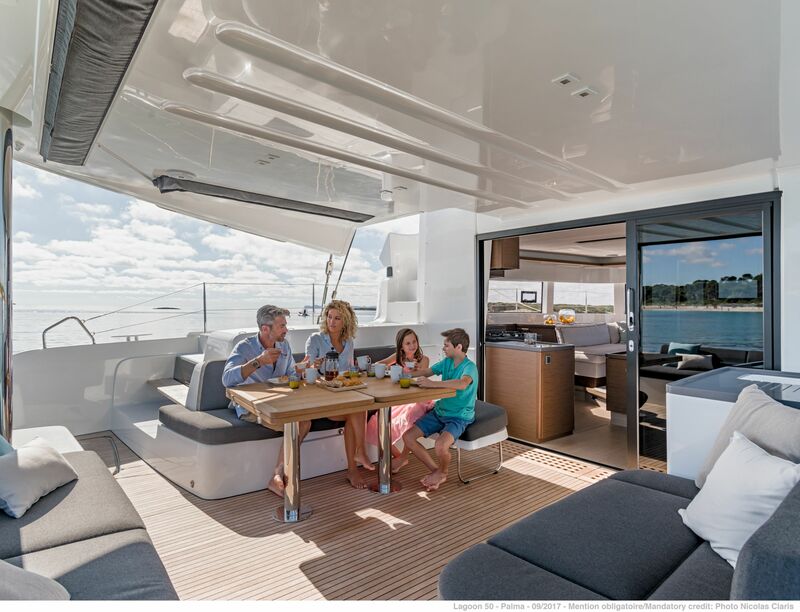 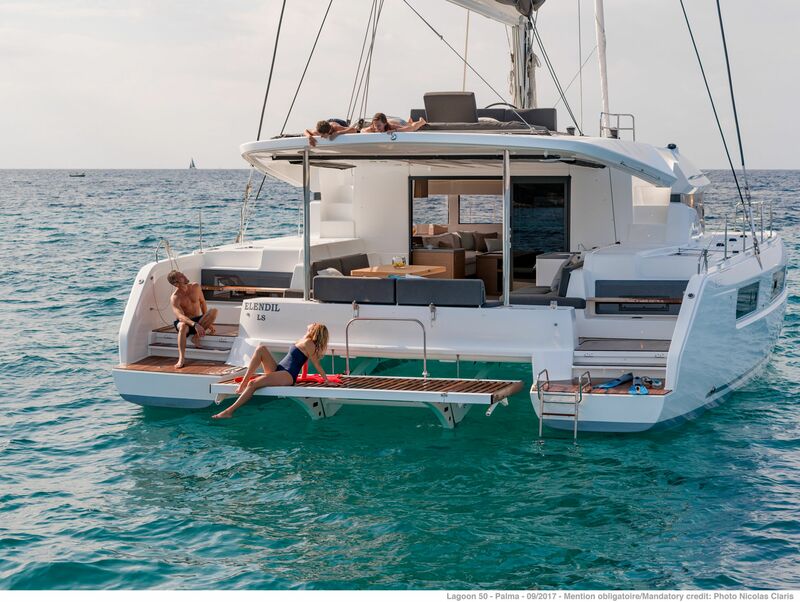 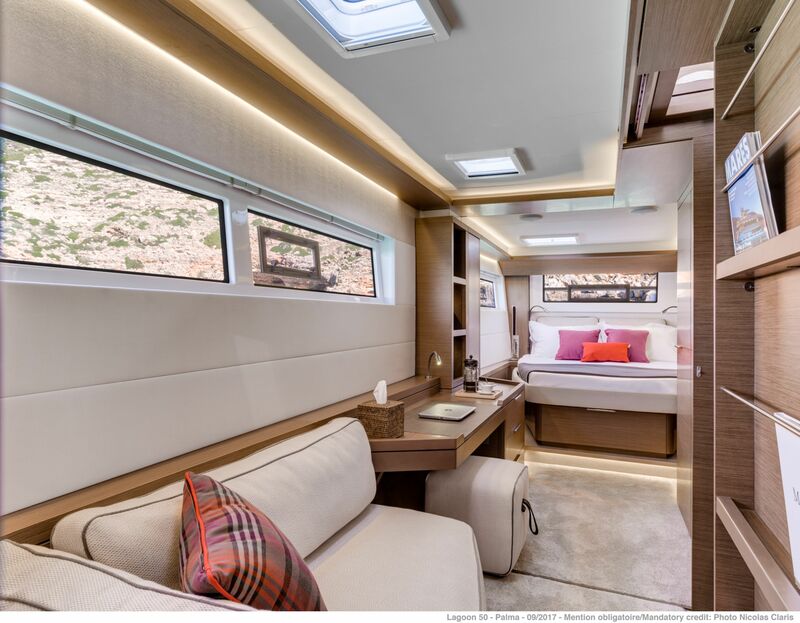 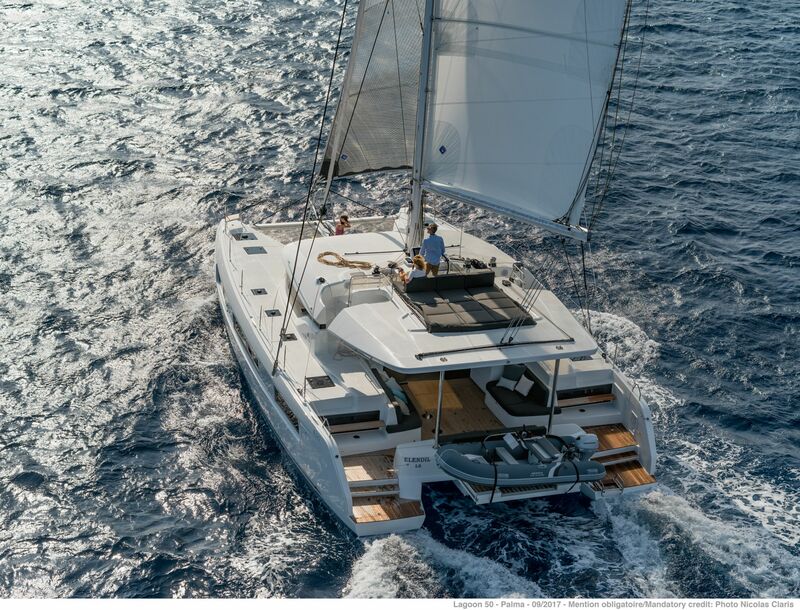 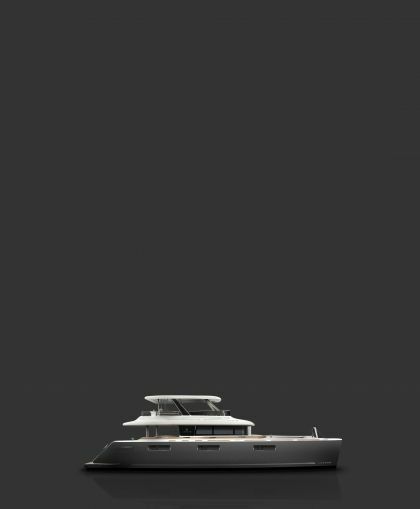 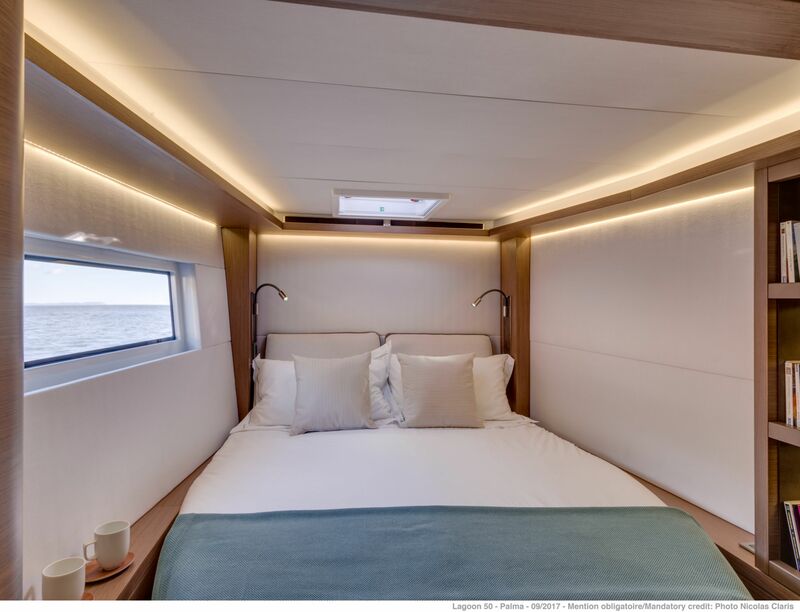 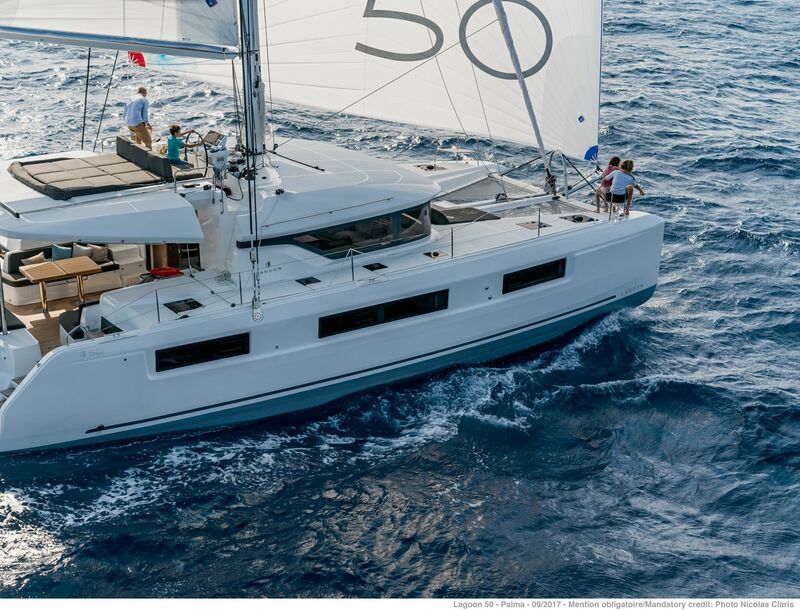 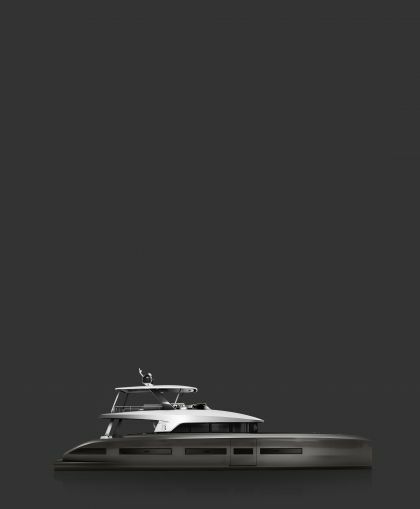 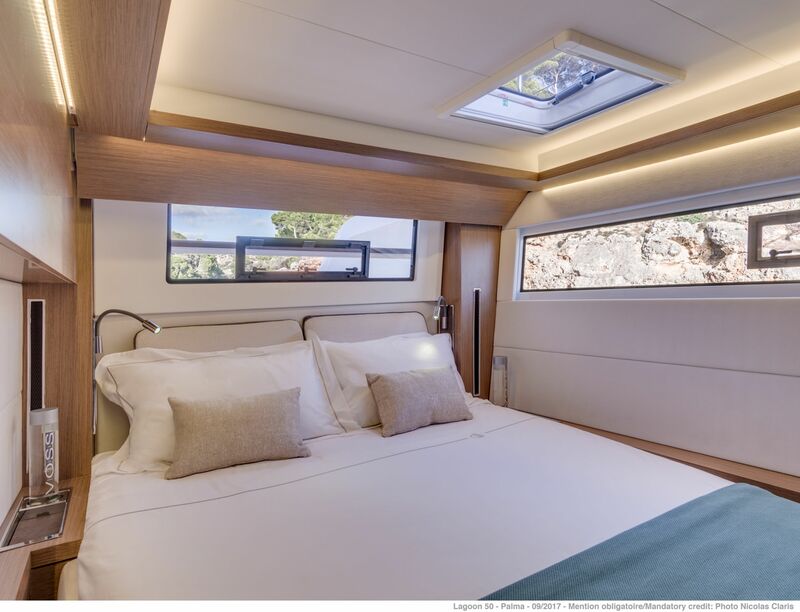 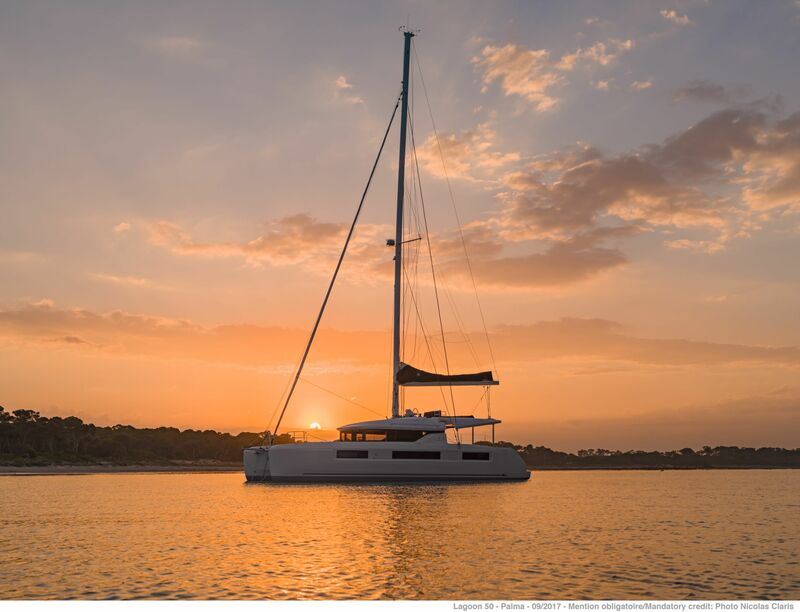 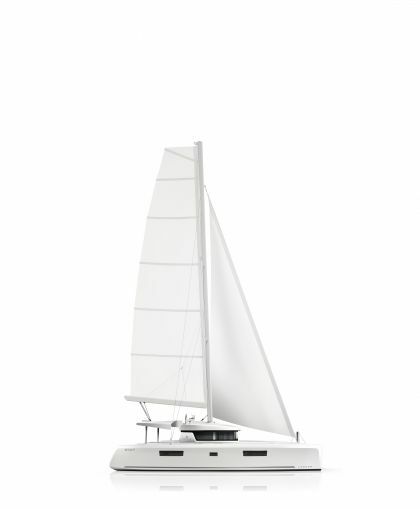 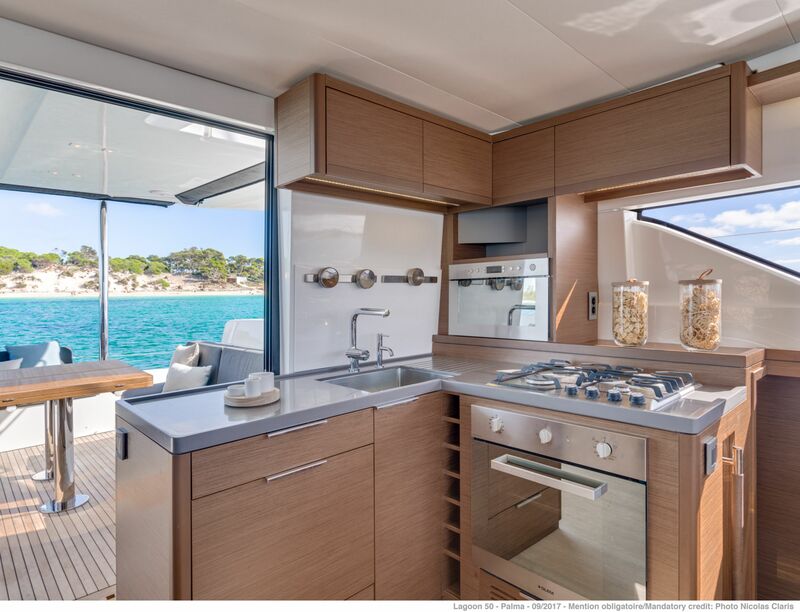 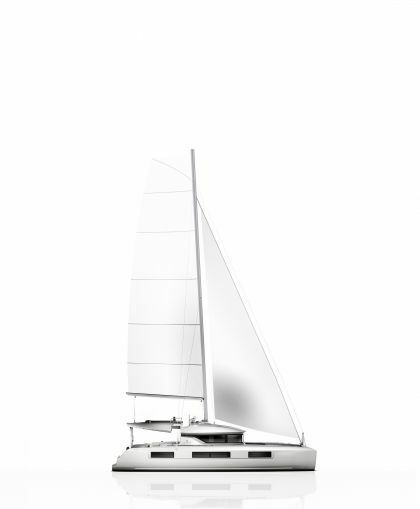 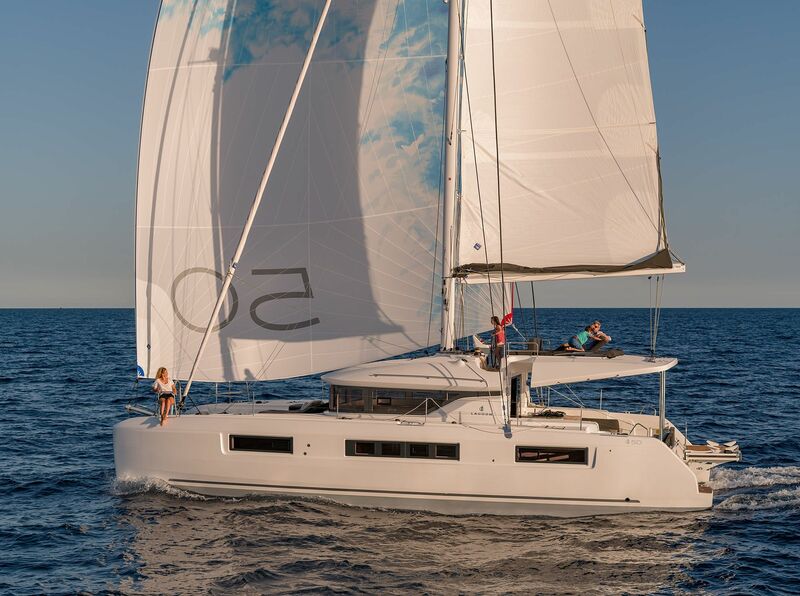 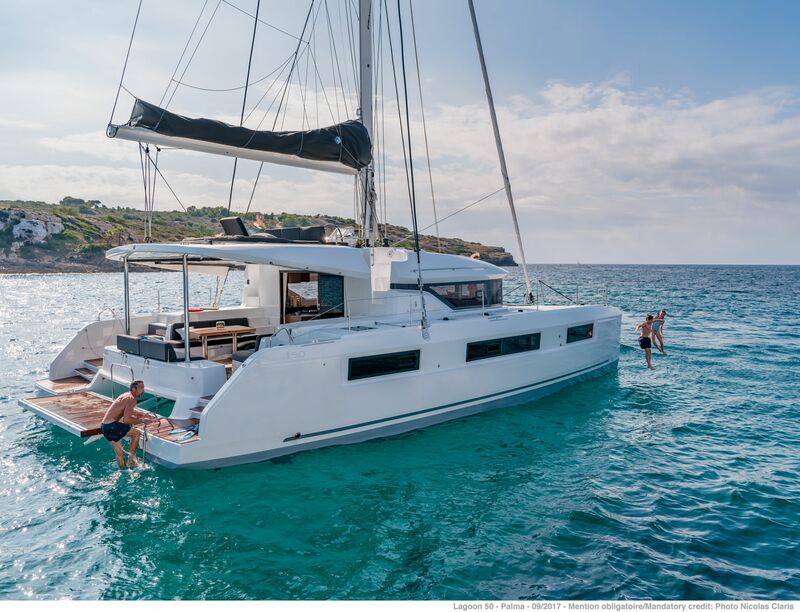 Volume and comfort in the hulls with particular attention to storage space: cabins with « Island bed » berths forward and aft, large storage volumes, hanging lockers, and open bookcases. 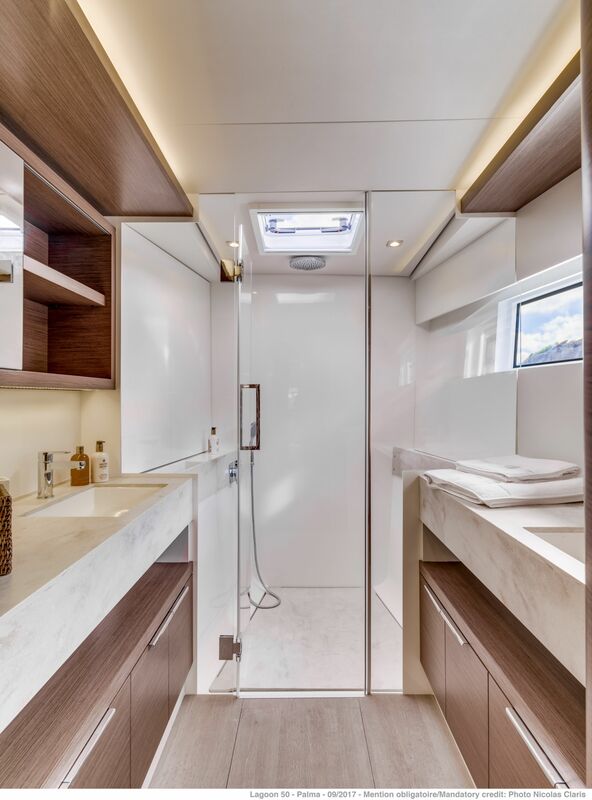 Large fresh and black water tanks located under the floorboards, thus providing considerable space. 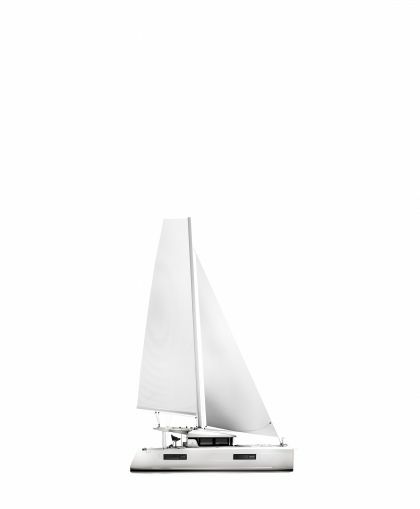 A grey water tank is optional in order to comply with environmental standards. 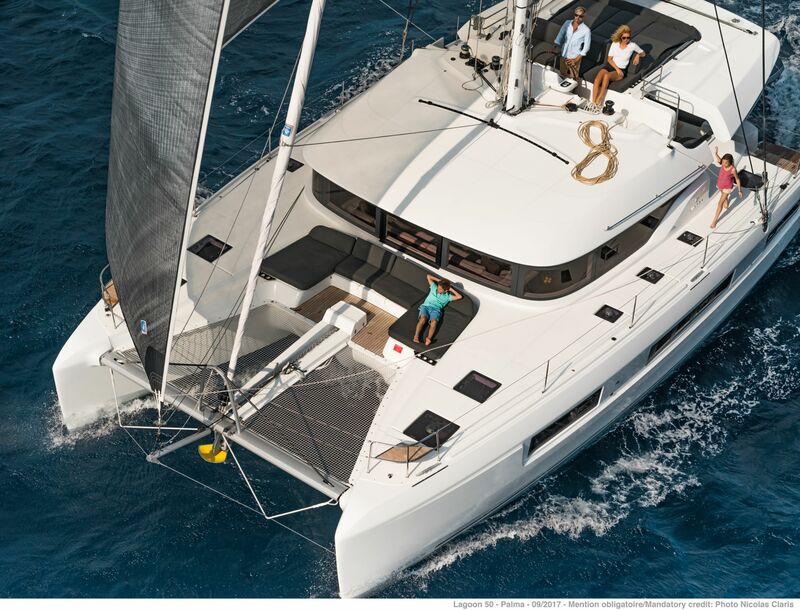 A self-tacking jib for simplified manoeuvres. 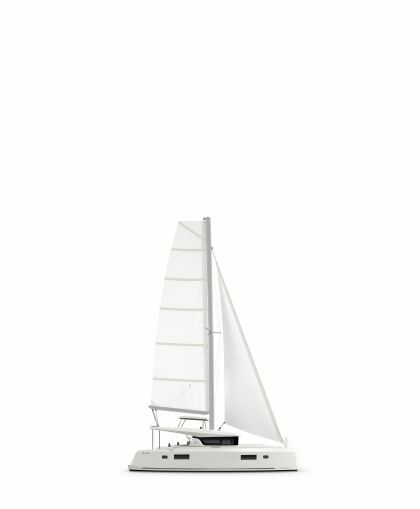 A shorter boom for easier manoeuvres. 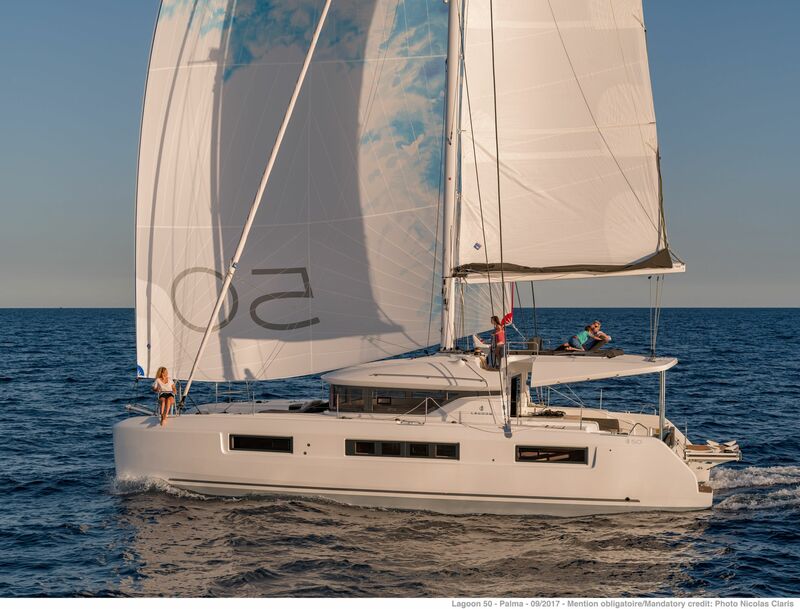 A main sail, with a high aspect ratio, enabling the capture of better airflow in the upper parts of the sail for optimised performance. 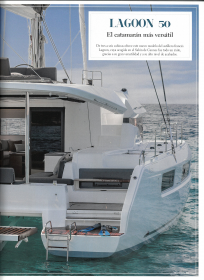 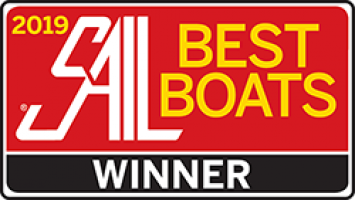 The re-centring of weight, thanks to aft positioning of rigging, considerably reduces the boat's pitch.